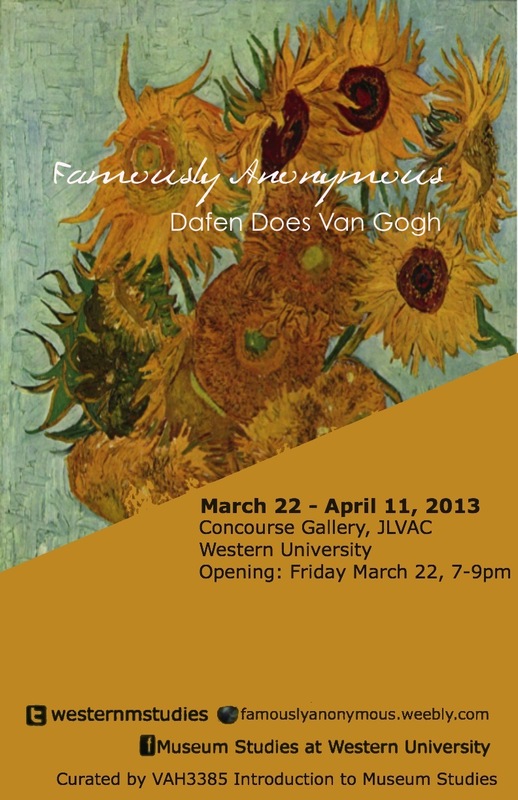 Famously Anonymous: Dafen Does van Gogh was an exhibition curated in 2013 by students in VAH3385. Famously Anonymous considered the global market for reproduction art works. Most of these works are entirely legal and created for customers across the world who prefer an “original” painting to a poster. 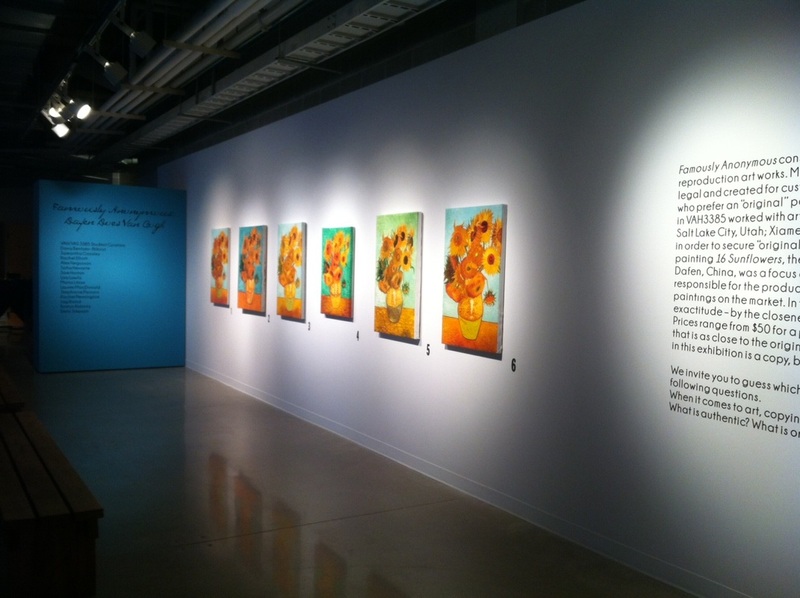 Students in a third year Museum Studies class at the University of Western Ontario worked with artists in Canada, the United States and China to secure “original copies” of van Gogh’s 1888 painting 16 Sunflowers, the most copied painting in the world. When it comes to art, copying, and mass production, what is real? What is authentic? What is original? And what is fake? View the exhibition website here. Download and read the exhibition catalogue here.